You will be amazed at how much difference a professional power wash from Fort Smith Power Washing can make to brighten up your property! If you’ve got dirt, grime, and stains on your concrete, walls, or fences, it may be time to consider hiring a power washer to do a thorough concrete cleaning and pressure wash your fence and walls. Fort Smith Power Washers offers you our amazingly affordable and effective pressure washing services for both residential and commercial properties. We will make sure that your walls are spotless, and your driveway or parking lot shines underneath the sunlight! We will bring color back to home sidings, and purify both wooden fences and metal gates. You can count on Fort Smith Power Washing to always provide the best power washing services in Fort Smith! We will clean your home or business exterior using our state-of-the-art pressure washers and will remove all unwanted dirt and grime from your surfaces. Fort Smith Power Washing offers you the opportunity to enjoy a clean and beautiful exterior that will attract the attention of all passersby. Our goal is to offer professional, quality pressure washing services to all Fort Smith homes and businesses. Whether you need us to power wash vinyl siding, take care of deck cleaning, pressure wash sidewalks, or power wash concrete, our pressure washers will take care of it all! We aim to provide the best power washing at an affordable price. You won’t have to worry about pressure washing prices; we promise to keep our power cleaning services at a competitively low price so that we can be available for you next time you need concrete cleaning. With our help, your home or business could look stunning! 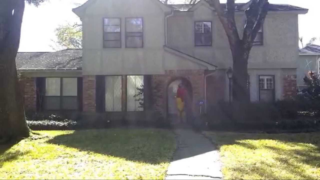 Your home should have the proper curb appeal, and our power washing services are just the thing to do that. 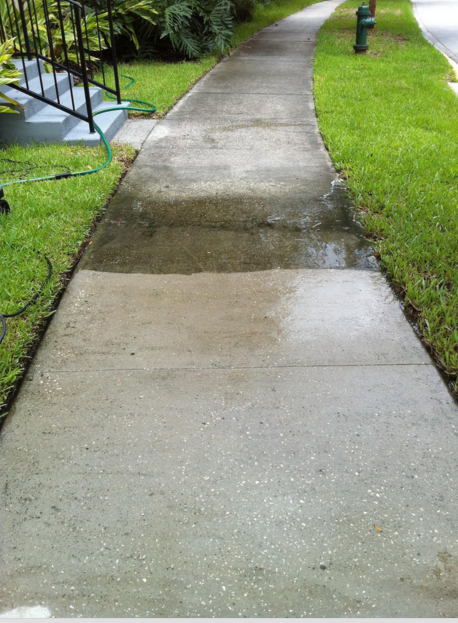 Our pressure washers will make your home or business beautiful by power washing sidings, concrete, walls, and fences. Turn to the best local power washing company in Fort Smith, AR for all of your power cleaning needs! Contact us today for a free estimate! We are a growing, local power washing company based in Fort Smith, Arkansas. We strive to bring cleanliness and sanitation to home and business exteriors by providing our affordable and professional pressure washing services. Whether it’s commercial pressure washing, deck cleaning, power washing fences, concrete cleaning, or home siding power washing, our capable pressure washing experts can handle all of your power washing needs. With us on site, you can rest assured that your home or business will be thoroughly cleaned and all of your old dirt, grime, rust, and stains will be completely removed from your surfaces. Fort Smith Power Washing’s goal is to improve the curb appeal of Fort Smith homes and make businesses more inviting from the outside. Our desire is to make every building shine in the light of day with no smudges or stains to distract viewers. We want your concrete to be clean enough for you to walk on barefoot (or even eat off of, though we don’t recommend it!). Our pressure washers are skilled in providing a flawless and effective power washing service to your home or business exterior with our services such as power washing siding, sidewalk pressure washing, and power washing decks. With our help, your home or business will look fresh and inviting! Don’t wait any longer and call today! Fort Smith Power Washing offers you a great pressure washing service that will clean your concrete, walls, roof, driveway, wallpaper, or any other surface thoroughly and effectively. With our pressure washers, we can remove all of your dirt and grime off of your surfaces. For metal, we can extract rust and tarnish right off of metal surfaces and restore their shiny look. With our power washing services, your home or business could look like new with all of its dirt, grime, stains, and moss sprayed right off with our state-of-the-art pressure washers. If you are looking for deck cleaning or concrete pressure washing, then Fort Smith Power Washing is here to help you out. With our professional pressure washers, you can rest assured knowing that your deck, patio, driveway, and parking lot are all in our capable hands. We will get them sparkling clean in no time, and for parking lots, you don’t have to worry about the paint; we know how to pressure wash without removing paint from concrete! 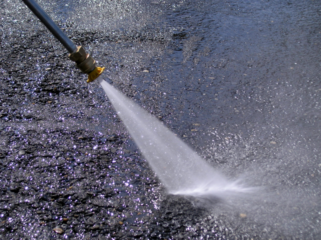 You can trust Fort Smith Power Washing to provide flawless commercial pressure washing services for your parking lot. Our services also include fence pressure washing, so we can take care of your backyard as well! We offer our services as professional pressure washers to all Fort Smith homes. 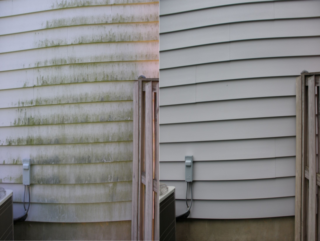 If your home’s siding, driveway, deck, or fence is covered in dirt or stains, we can wash all of that off for you. Fort Smith Power Washing will ensure that your home gets the professional pressure washing it deserves. With the help of our power washers, your home could look as beautiful as the day you moved in (maybe even more so). We are here to help Fort Smith homes be clean and fresh, so we’ve designed these power cleaning services to provide the best exterior cleaning we can. Fort Smith Power Washing wants you to know that our pressure washing experts are capable of handling all kinds of residential surfaces such as concrete, wood, vinyl, and metal. We can take care of the concrete cleaning for your driveway and patios, and we can power wash fences and gates. Our power washers have been trained to provide the most accurate and careful residential pressure washing so you can trust that no accidents will occur, and your home will be safe from potential damages. With all of the proper licensing, our residential power washers can expertly clean your home exterior such as power washing sidings. Call us today and take advantage of our affordable residential pressure washing services. For businesses, we offer our amazing commercial pressure washing services. With the help of our capable power washers, you could have a shiny, welcoming business that will draw the eye of customers. It’s important that your business looks kept and inviting; something our expert commercial pressure washing service was designed to make into a reality! 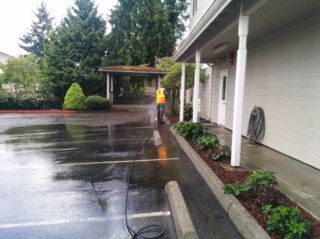 Fort Smith Power Washing offers your business the opportunity to rid itself of those nasty stains on your building exterior and parking lot, to make certain your business looks as good as possible! We will remove graffiti or create a clean slate for wall art. We offer all of these commercial pressure washing services so that your business can thrive and we can be there to help it along. Our professional power washers eagerly await the chance to use their power washing skills for concrete cleaning, or power washing brick or metal walls. We will remove tarnish from your metal walls and clear off your brick walls without damaging the grout or the bricks. Our skillful pressure washers are ready to perform the best commercial pressure washing you’ve ever seen! 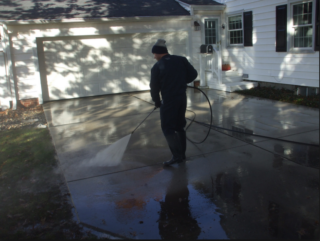 Our pressure washers are all trained and certified to wield these powerful concrete cleaners. You can trust that Fort Smith Power Washing has properly trained these fine power washers with up-to-date safety regulations and have taught them the ins and outs of the current models of power washers. 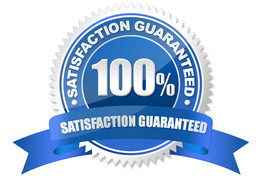 Our professional pressure washing company strives to maintain our principles of fast and effective service that is both professionally and expertly executed. With the help of our expert power washers, your home or business will shine once again! Fort Smith Power Washing offers you the opportunity to restore your home or business back to its former glory. With our affordable power washing, your concrete, metal, brick, wood, and vinyl could all be cleared of stains, rust, grime, and dirt, and be restored to a vibrant, shiny color. 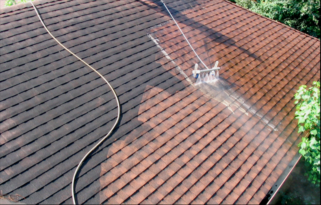 We can ensure that you receive proper pressure washing and that your property is brilliantly restored. Our concrete cleaning and fence pressure washing are only two services that our professional pressure washers excel at, call us today to find out more. First of all, retail power washing equipment is not cheap. Even after spending the unnecessary expenses of purchasing a pressure washer yourself, you still don’t know how to use it. Pressure washing is not a fun activity, and should never, under any circumstance, be taken lightly. Using the wrong setting when pressure washing sidings could lead to serious damages to your property (and possibly yourself or others!). Power washing your driveway without proper training could lead to you veering off-target and destroying the grass near the concrete. Pressure washers are not toys, and they should only be operated by professionals and people who have been trained to use one! Not only are power washers difficult to use and potentially dangerous to your surroundings, but they can be dangerous and even lethal to you and the people around you. Pressure washers pressurize the water as it flows through it and builds up a monstrous force as it releases the water! This process causes the water to act as a kind of blade, releasing extreme amounts of pressure on the targeted surface. This extreme force could cause serious injuries to anybody if it were to come into contact with them, which is why we discourage the personal use of power washers and advise that they only are used in the hands of professional and licensed pressure washers. Be safe, and be smart; call Fort Smith Power Washing for all of your pressure washing needs!